Adam Lamp was founded in Budapest by Adam Juhasz, a Hungarian designer who after his graduation from Moholy- Nagy University Of Art and Design started creating lighting objects that made up from hand-assembled die cut parts, having real character and quality. His enthusiasm for lamps feeds upon his love for light and inspiration for intuitive creation carrying energy. His creatures are based on the play of shadow and light that makes a unique and peculiar phenomenon. Objects floating lightly in the air, these are the products of Adam Lamp whose secret is the lightsome game of geometric and natural forms that play with the imagination. The simple design and the basic colour exude strength and breathe life into the room. Like microcosmos bulid up macrocosmos, the small elements create one alluring light object. These lamps draw the attention immediately and dominate every place and space. Our belongings/objects define our home and reflect our personality, just as the models of Adam Lamp determine the room where they are set. Adam Lamp produces hand-assembled lighting objects, designed from geometric shapes. 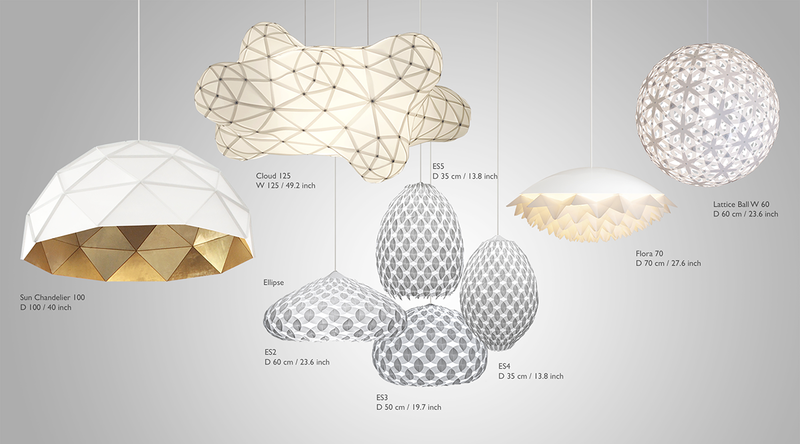 The variants of shapes are designed and cut out digitally; still, each lamp can be combiled in a unique way. The shapes are made of very thin (0,3 - 1mm), white, translucent plastic, and thus –despite of the size of the individual elements– they are relatively light. The structure of one part of the collection consists of a system of hexagons, which create a firm and even shape. At the intersections of the hexagons the elements display star-like shapes, which combine together and overlap, thus a very interesting surface structure is achieved. The other lamps of the collection are also designed and cut out digitally and each of them is hand-assembled in a unique way. 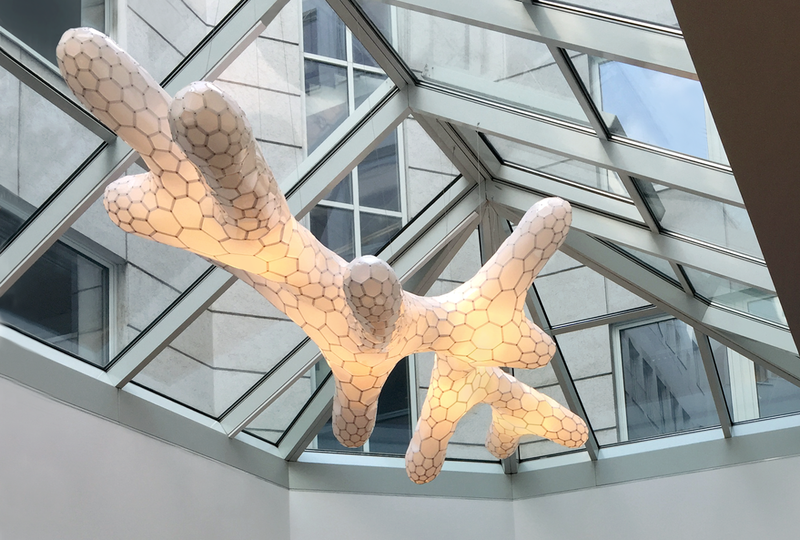 In this case the repetitive overlapping structure of the assembled elements gives a very exciting plastic surface, generating a playful light and shadow effect. Adam Lamp offers the possibility for ordering unique models. Several hotels, restaurants and bars have their own Adam Lamp products, so everyone have the opportunity to order a lamp or two that make their place extraordinary.